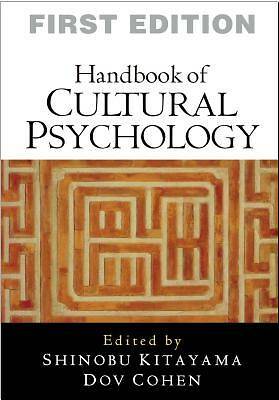 Bringing together leading authorities, this definitive handbook provides a comprehensive review of the field of cultural psychology. Major theoretical perspectives are explained, and methodological issues and challenges are discussed. The volume examines how topics fundamental to psychology--identity and social relations, the self, cognition, emotion and motivation, and development--are influenced by cultural meanings and practices. It also presents cutting-edge work on the psychological and evolutionary underpinnings of cultural stability and change. In all, more than 60 contributors have written over 30 chapters covering such diverse areas as food, love, religion, intelligence, language, attachment, narratives, and work.